This entry was posted on Thursday, June 16th, 2011 at 9:09 am	and is filed under Balance Sheet. You can follow any responses to this entry through the RSS 2.0 feed. You can skip to the end and leave a response. Pinging is currently not allowed. States are now finally getting around to including SpED training as part of their general curriculum teacher education programs. My own state of Georgia has been graduating educators trained in both content area AND general curriculum special ed. This type of training can be invaluable to a general classroom teacher, especially with the massive push towards RTI. I appreciate the in-depth analysis and fact-checking done here. 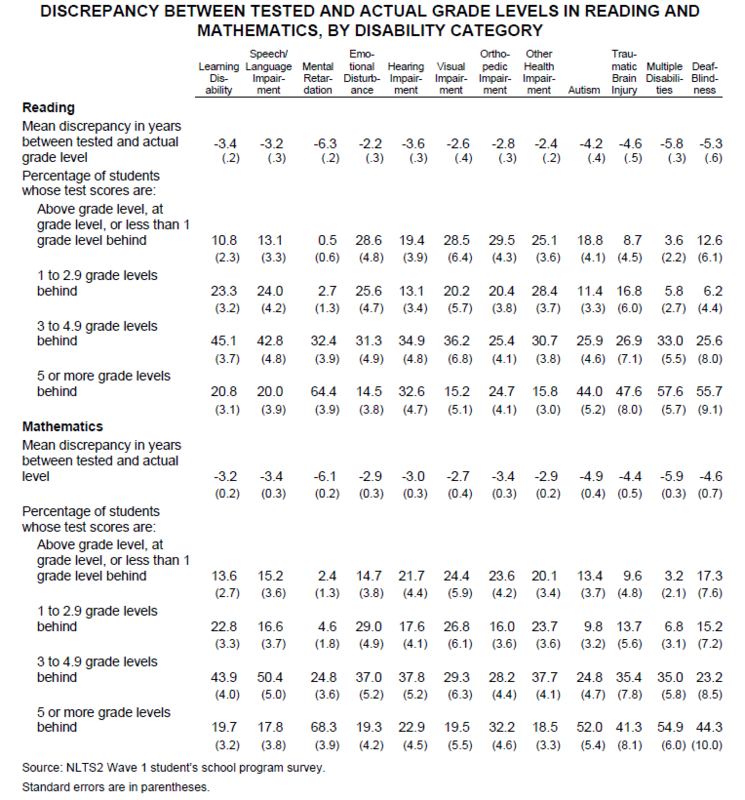 One minor correction: CT does use the developmentally delayed category but only for children ages 3 to 6. By age 6, the child must qualify for special education under one of the other IDEA categories to continue to receive services. This allows preschoolers to come in from the Birth to Three program, where they have been receiving services under a similar “developmental delay” framework, without having to give a more specific label if the process of diagnosis has not yielded specific results yet. Thanks for the clarification. 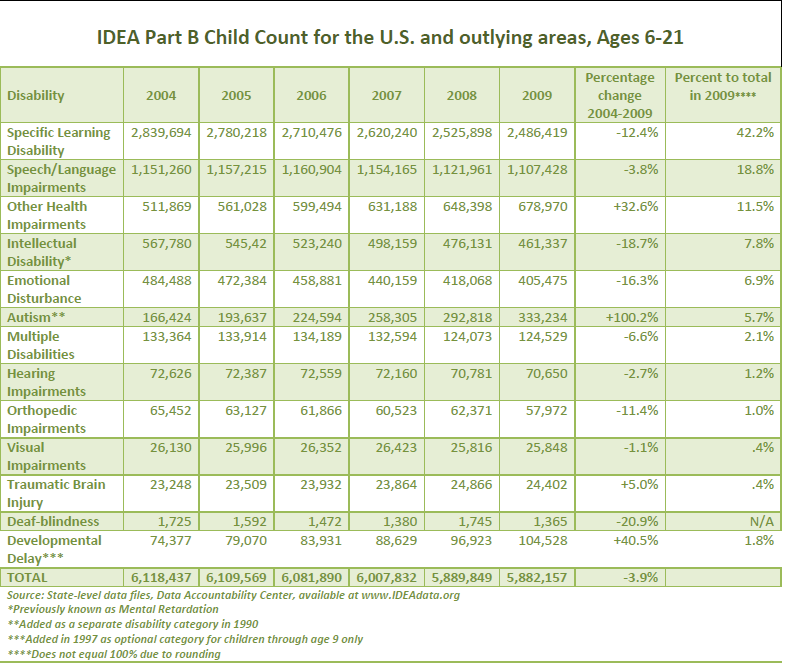 We used the 2009 child count data at http://www.ideadata.org to compile our list of states not using the optional DD category in the 6-21 group. CT is indicated as “data not available” in this category.